If you love making things as much as we do, there’s nothing better than a good DIY kit to inspire your next crafting project. With all the necessary supplies ready and waiting, it’s a lot easier to get started and let your creative impulses take flight when you have a solid foundation to build off of. Kits are a great way to explore a different kind of creative process and try something new for the first time. Also (in my opinion), the only thing better than buying something wonderfully geeky is getting a chance to make it yourself. 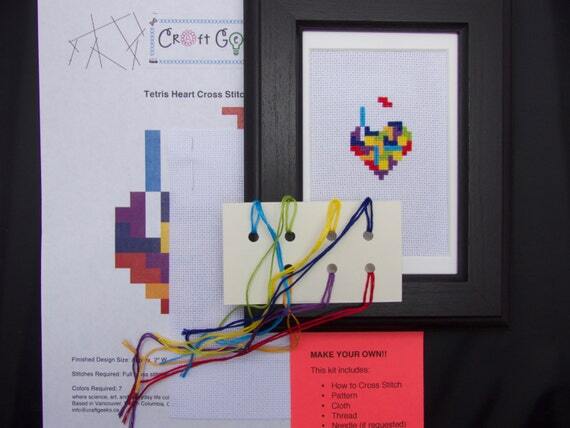 That’s why we’re excited to announce that this year at Vancouver Mini Maker Faire we will be debuting multiple new cross stitch kits as well as the return of some of our DIY bestsellers. Our sushi candle kits will be back by popular demand, giving you a chance to create your own beeswax candles that sometimes look dangerously similar to the real thing (well maybe only if you’re feeling especially hungry). Our cross stitch kit range also has something for everyone so whether you are an absolute beginner or experienced crafter there’s a pattern for everyone. We hope that expanding our line of kits will give others the opportunity to experience the same crafting and creating that we love. Plus making cool stuff is fun. Happy Making and we’ll see you at Maker Faire!